Solve.Care will be available around the world, including the USA, Russia, Ukraine and Asia. The main goal of the system is to coordinate care and administer programs for multiple healthcare models around the world. UKRSOFT is a Ukrainian IT service company that provides solutions for businesses in the USA, Europe and Asia. It is a team of 50+ software engineers and scientists with extensive experience in software development. Among the clients of UKRSOFT are Delta, SkyCom, Security Service of Ukraine and Electric Welding Institute. The products developed by UKRSOFT are known for their multi-platform capabilities. In addition, UKRSOFT has experience in implementing projects for the US Medicare program and other major social programs in the healthcare sector. Solve.Care platform, which will launch using UKRSOFT technology and team, includes a synchronization protocol, a care coordination wallet, a currency for payment of services and advanced applications that adapt to the needs of the participants. 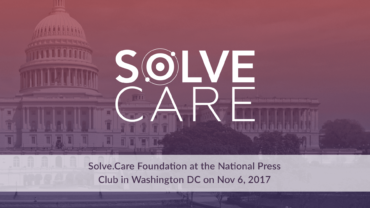 Solve.Care creates a simple and understandable system of interaction between insurance companies, government agencies, hospitals, pharmacies and businesses. “Governments in different countries spend billions of dollars each year on inefficient healthcare systems,” says CTO of Solve.Care Vadim Vorobiov. – In the United States, this amount exceeds $ 3.2 trillion. At the same time, its administrative expenses reach up to 30%. Solve.Care platform aims to reduce the costs to 3% and to make the system accountable and transparent for all the parties”. CEO of Solve.Care, Pradeep Goel, will speak at the main technology forum in Moscow “Open Innovations” on October 16. He is going to explain the possibilities of Blockchain for a technological breakthrough in the healthcare sector.